Planning to create a sporty or nautical setting in the kidfts room? 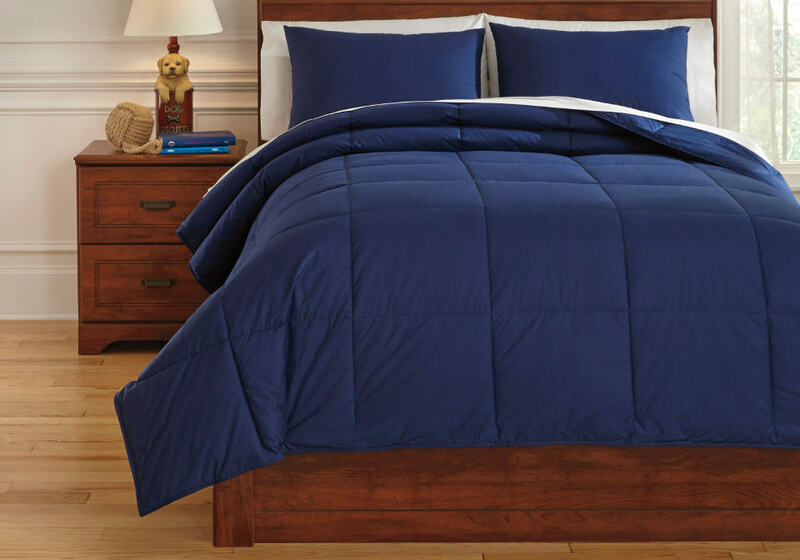 Discover the handsomeness of the Plainfield comforter set. Its bold color and simple square stitched pattern combine with its softness and smooth fabric to provide an extraordinary look and feel. 2-3 Piece Comforter Set – Includes Comforter and 2 Shams (1 for Twin). 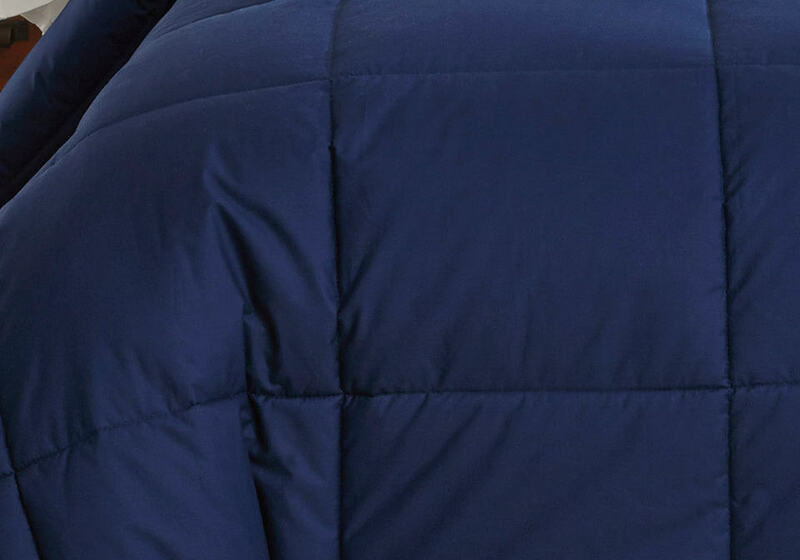 Solid in Navy. Cotton. Filled with Polyester. 230 TC. Machine Washable.